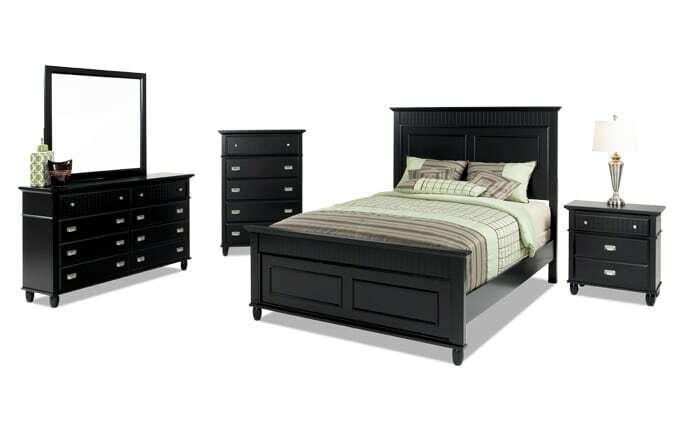 My Louie Louie Bedroom Set is truly one for the books! 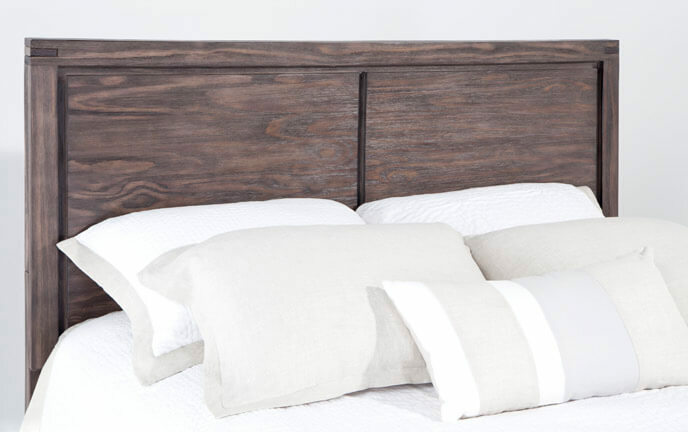 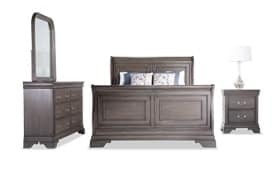 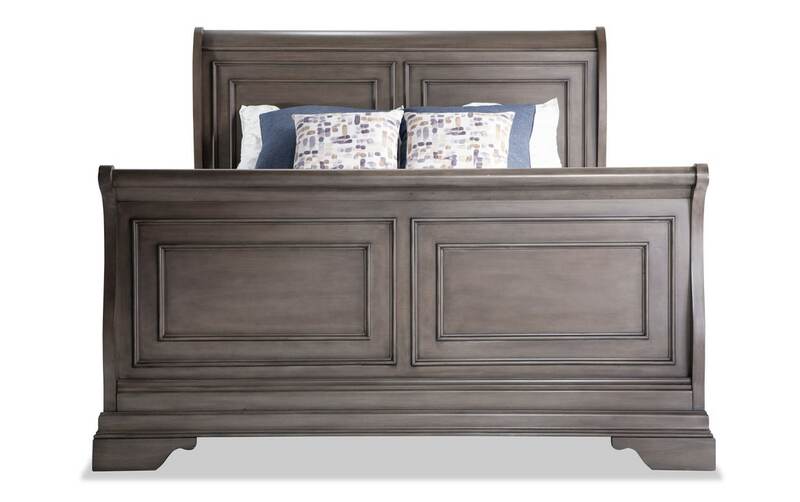 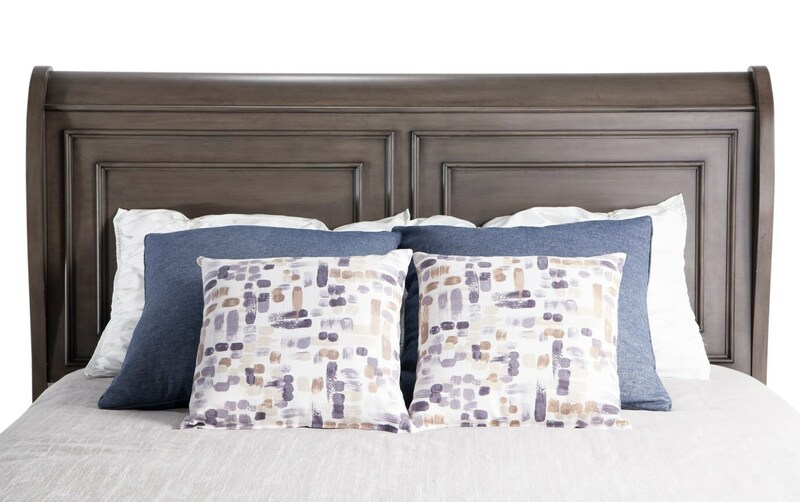 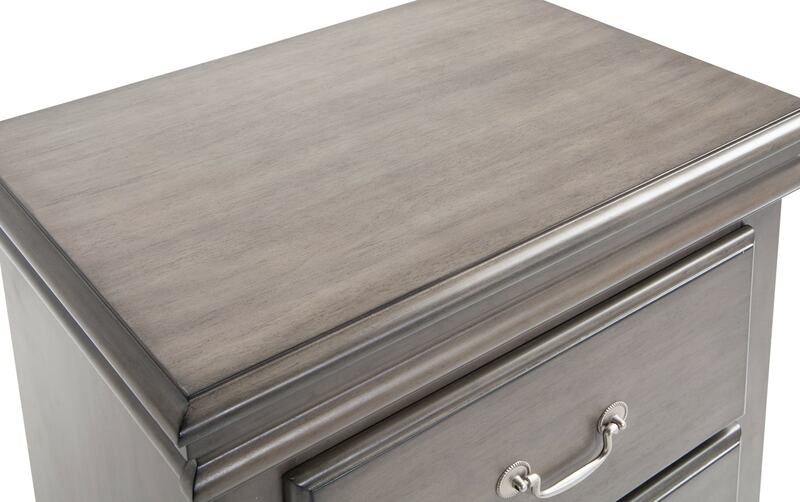 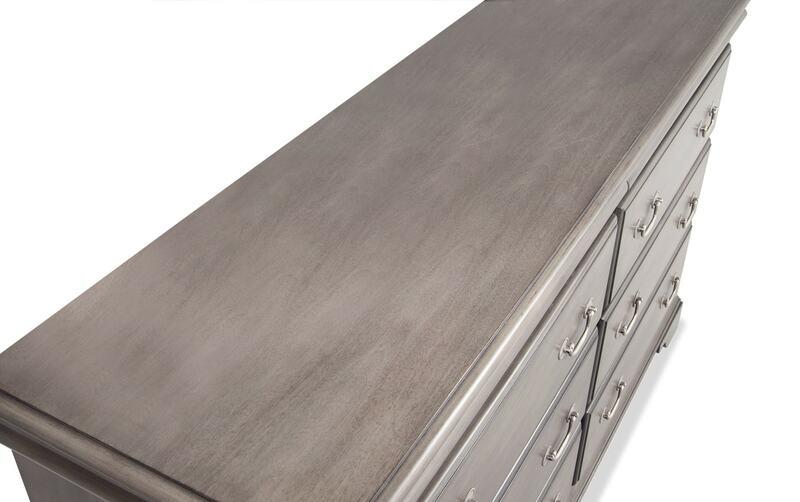 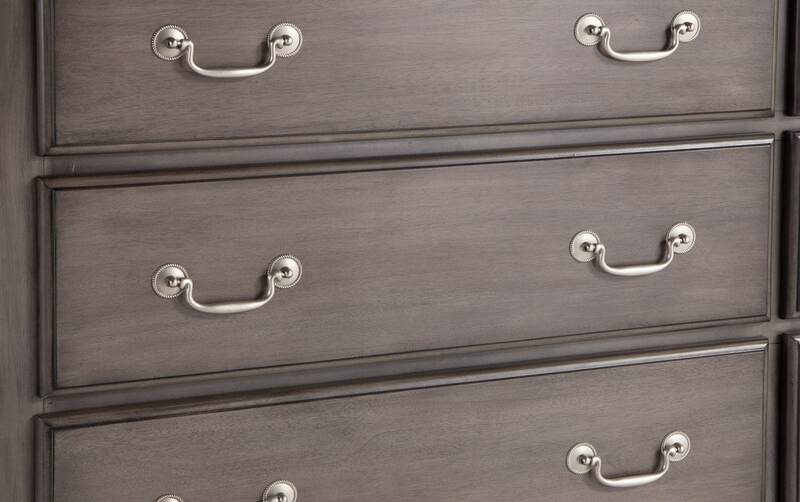 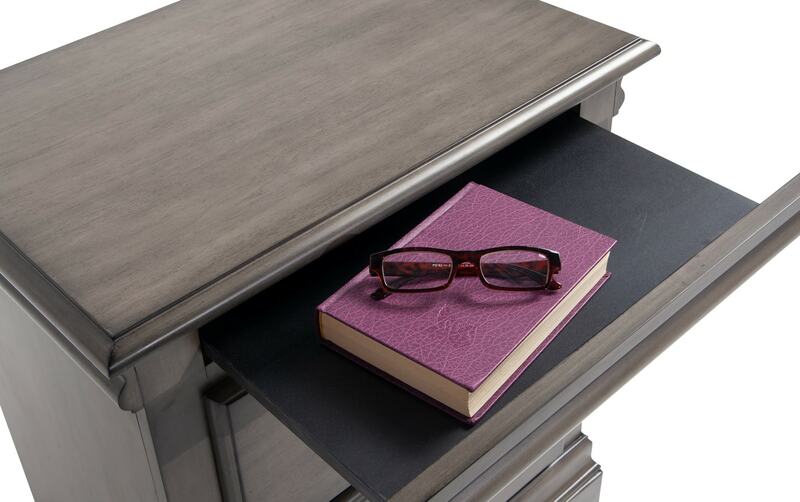 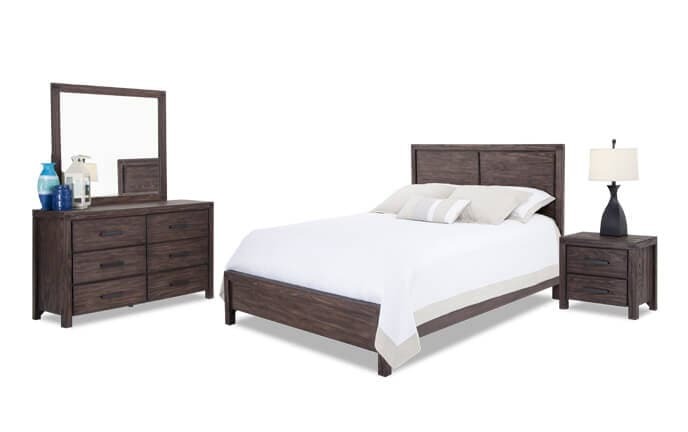 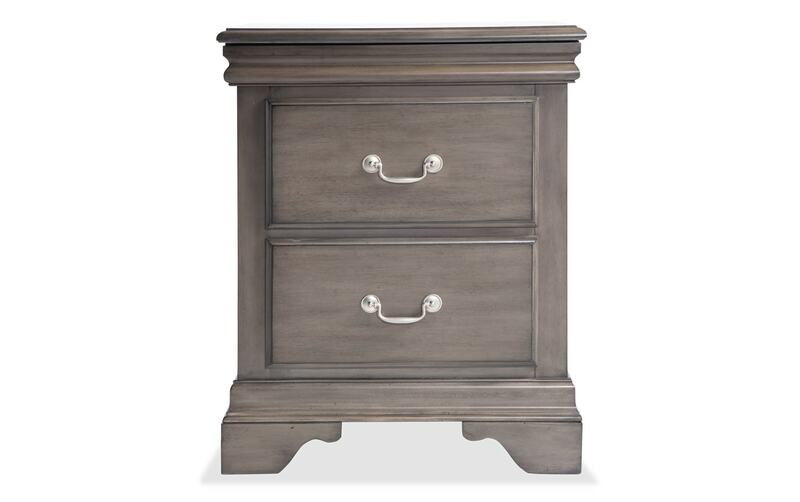 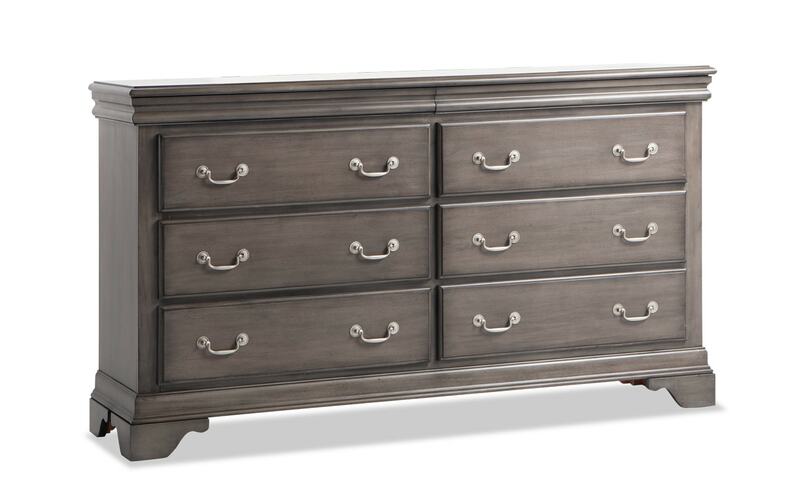 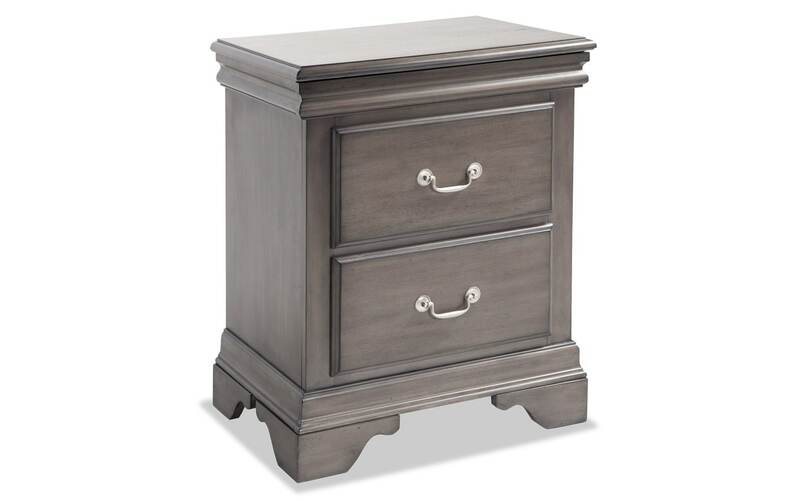 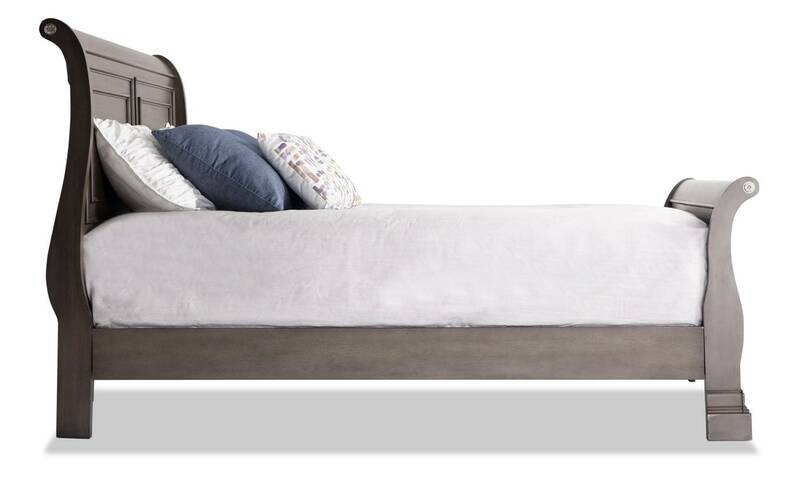 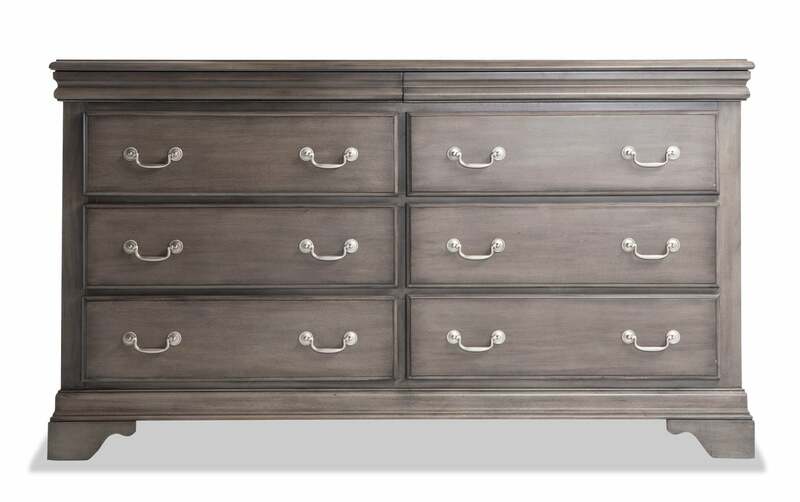 This sophisticated bedroom set is accentuated with a slight rub-through. 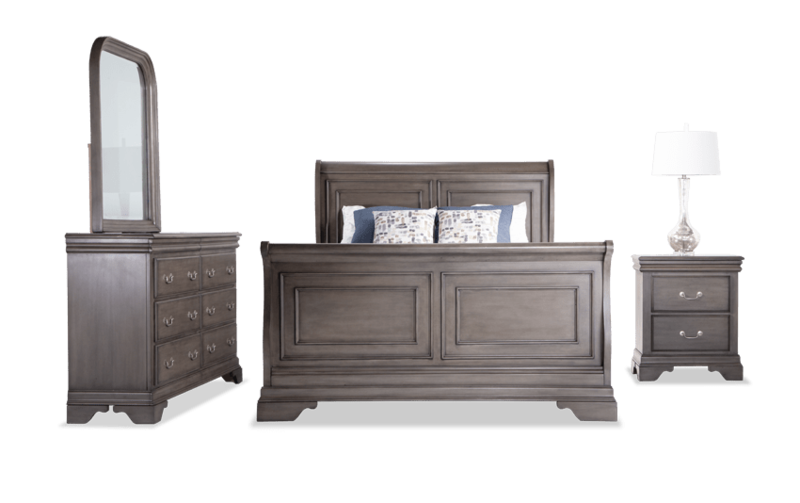 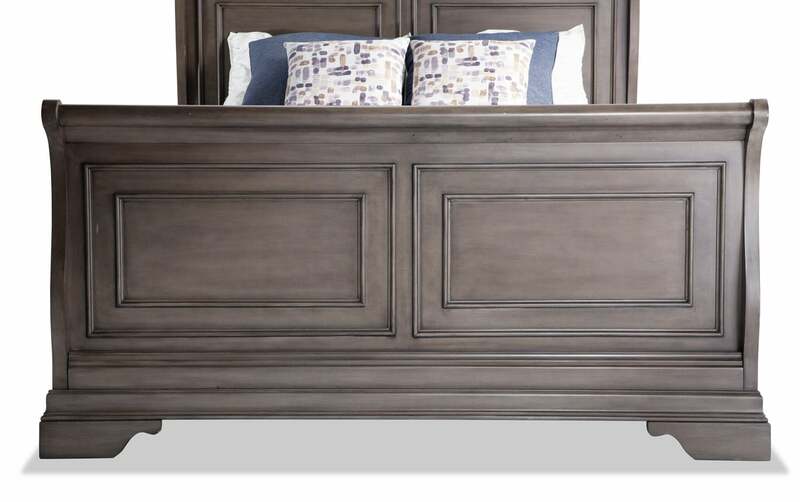 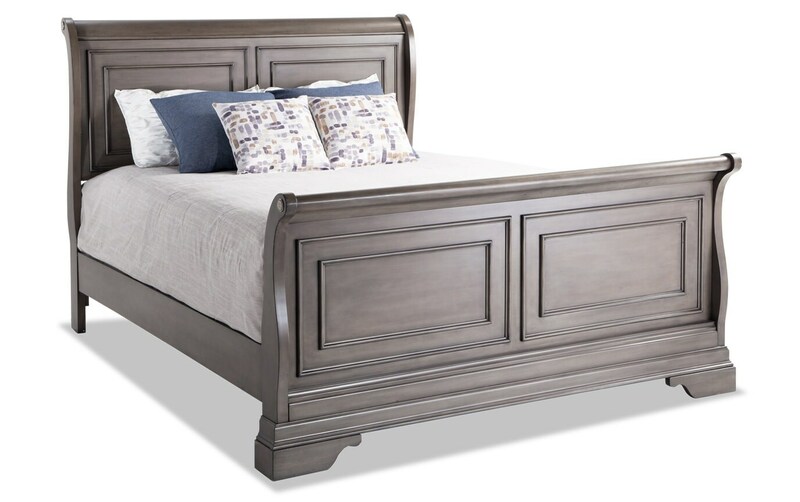 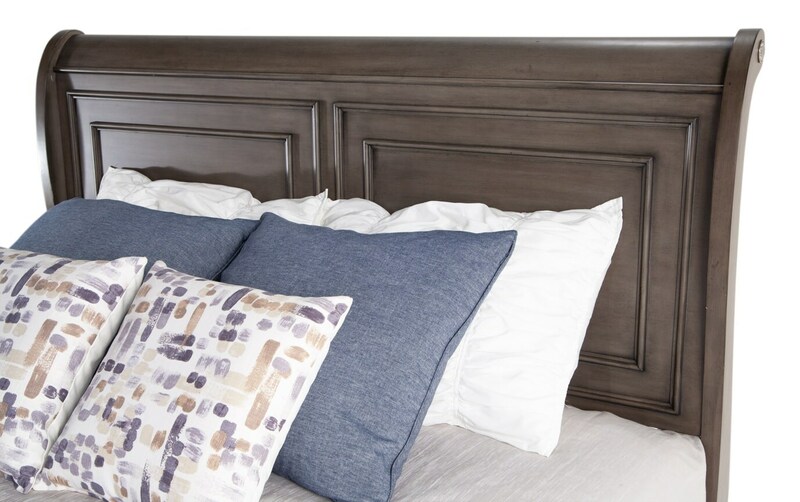 The rectangular shaped details on the headboard and footboard only add to the refined look, and you're getting loads of storage with the dresser and mirror and nightstand. 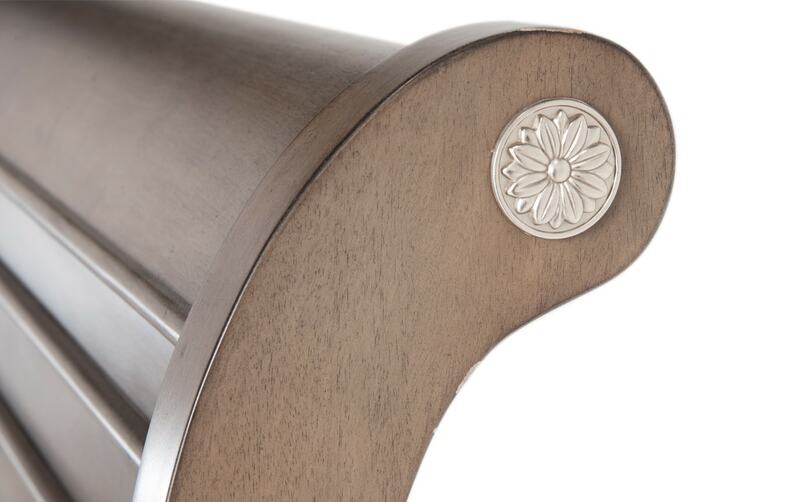 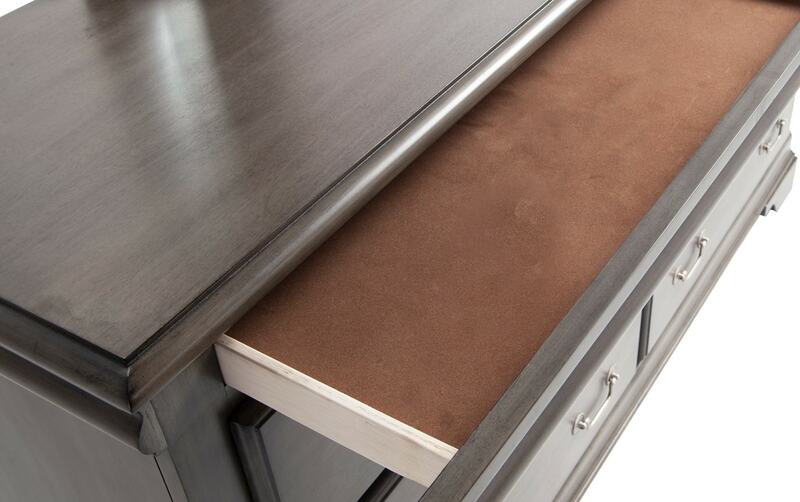 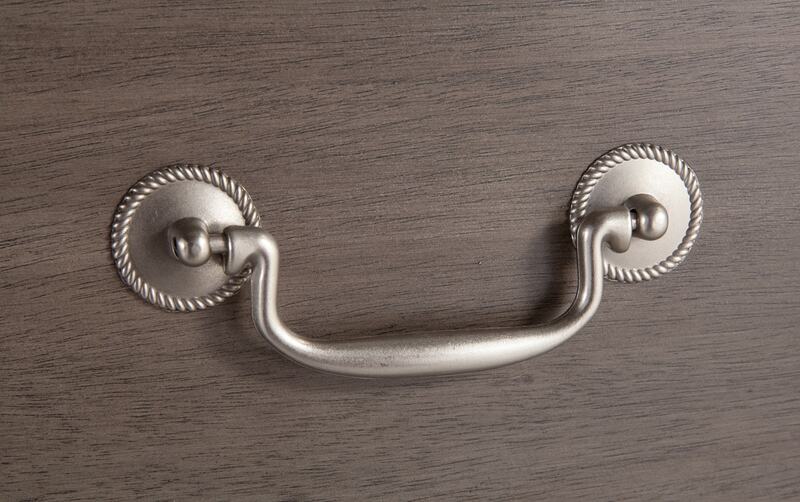 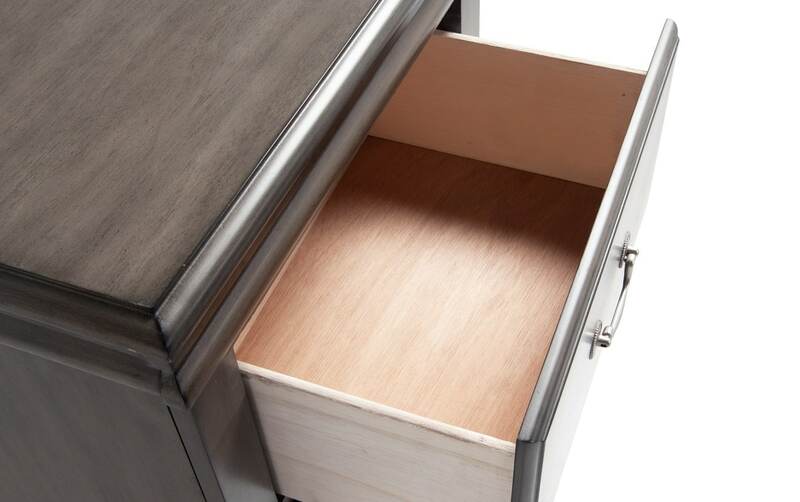 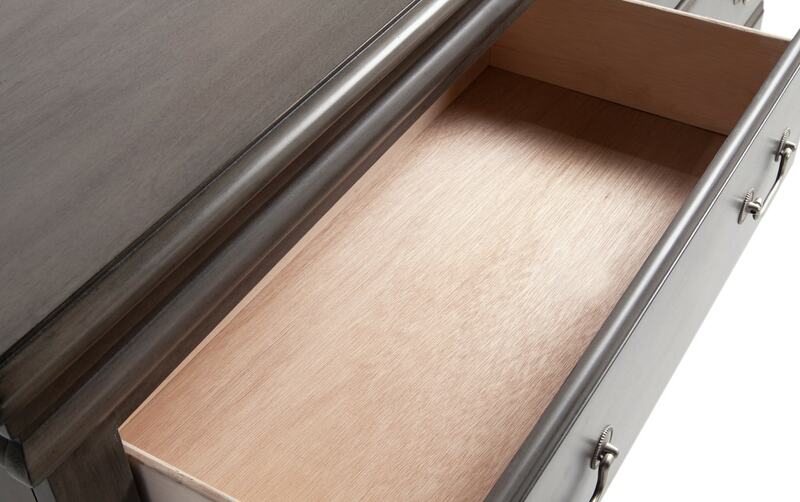 Don't forget the hidden storage in the top moldings of each of the storage pieces! 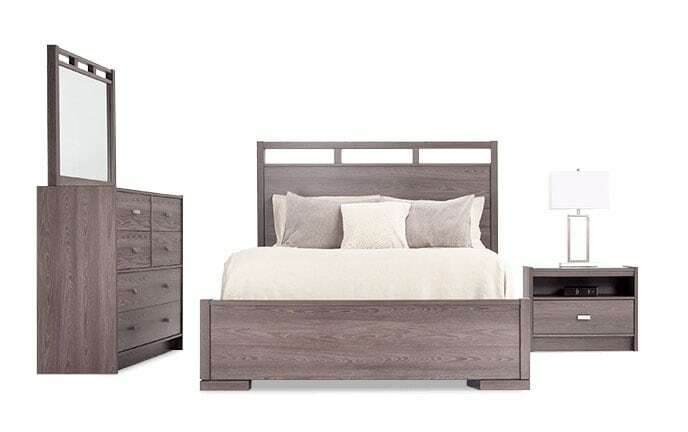 How could you miss out on this absolute steal?